On average, the Nvidia GeForce GTX 280 -- released in June 2008 -- was 2.5 times faster than the Intel 3.2GHz Core i7 960 processor, and more than 14 times faster under certain circumstances, the Intel researchers reported in the paper, called "Debunking the 100x GPU vs. CPU myth: An evaluation of throughput computing on CPU and GPU." 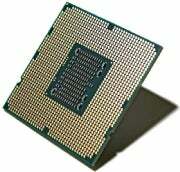 Graphics chips, with dozens of cores that are used to draw polygons and map textures used to create realistic images on a computer screen, are well-adapted to parallel processing tasks while processors with fewer, more powerful cores, like the Core i7, are better suited for serial processing applications. That's not to say that quad-core chips like the Core i7 can't handle parallel processing tasks; they can, just not as well as GPUs like the GTX280, as the Intel study confirmed. Even so, Keane wasn't impressed by the performance margin reported by Intel, listing 10 Nvidia customers that saw application performance improve by a factor of 100 or more by optimizing them to run on GPUs. The performance comparison done by Intel likely did not include the software optimization required to get the best performance from the GPU, he said, noting that Intel didn't provide details of the software code used in the comparison. "It wouldn't be the first time the industry has seen Intel using these types of claims with benchmarks," he wrote, providing a link to the U.S. Federal Trade Commission antitrust suit filed against Intel in 2009. Last year, Novatte built a system for a financial customer that wanted to run pricing models. The system, which cost more than US$1 million, used 60 Intel Xeon processors and 120 Nvidia GPUs. A system with similar performance built using Xeon processors alone would cost $1.6 million and consume nearly 28 percent more power, making it more costly to operate than the system built with GPUs, Drozdov said. For its part, Intel recognizes the importance of having a powerful parallel processing chip in its product lineup to complement its CPU line. In May, Intel announced the development of a 50-core chip called Knights Corner, which the company hopes will fend off competition from graphics chip makers in the high-performance computing space. Intel has not said when Knights Corner will be available.